Vegemite has taken a belated shot at Maria Sharapova, sledging the grunting star after her demise at the Australian Open. The Australian company is a supporter of the Australian Open and local Ash Barty, who was bundled out in the quarter-finals, and has been active in its campaigning throughout the tournament. But a decision to throw a jab at Maria Sharapova has raised some eyebrows within the tennis community. One billboard spotted in Melbourne showed Vegemite spruiking their product as tasting like: “Quiet, please Maria”. The billboard comes after Sharapova’s grunts captured the nation’s attention during her loss to Barty in the fourth round. 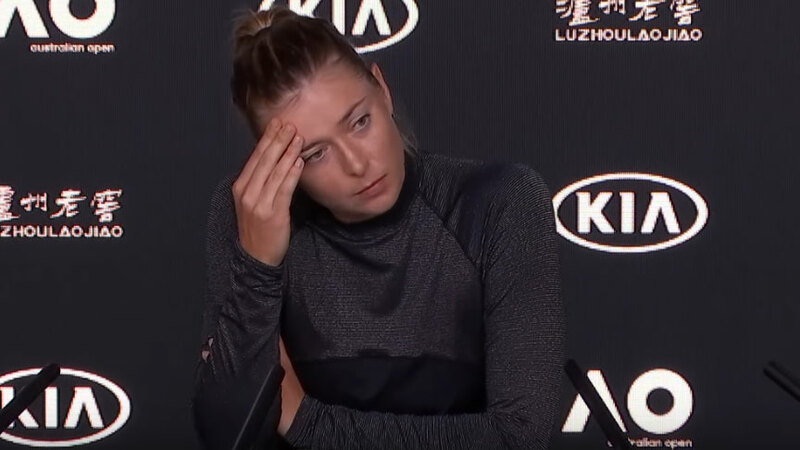 The Melbourne crowd booed Sharapova during the match, especially after the Russian took a seven minute bathroom break when Barty took the first set. Before Sharapova was matched up to play Barty the same billboard was far more complimentary of the controversial star. It comes as no surprise as tennis commentators and fans expressed outrage over Sharapova's tactics.